Mike Adams, the Health Ranger and founder of Natural News, is on a mission. Having himself been the victim of unfair censorship by Google, YouTube and other “tech giants,” he set out to create a viewing platform which reestablishes true freedom of expression. Brighteon.com was launched just weeks ago, and is already enjoying excellent growth, appealing as it does to free thinkers who believe in the right to speak their minds without fear of recrimination. Adams believes that the environment of censorship that we currently find ourselves in is a “daily drain on the human spirit.” As such, though he does not feel he has the right and does not want the power to determine what information should be viewable and what should be banned, he believes that Brighteon.com is necessary to protect his own free speech and that of others. Adams is particularly interested in being responsive to the needs and feelings of his audience. As such, after receiving incisive commentary from the Brighteon.com viewership, he made a brave decision which will open him up to the full wrath of the government and mainstream media outlets. In his post, Adams explained that certain videos are banned in overseas countries, and these have to be blocked on Brighteon.com in those countries. For example, in certain Middle Eastern countries it is illegal to speak out against the Prophet Mohammed, so that type of content would have to be blocked there. And the same would apply to posts by holocaust deniers in Germany, where such content is illegal. Initially Adams blocked this type of content in the United States, as well. Although it was not banned, it was delisted, which is effectively a shadow ban in which the video does not show up in any search results and is therefore undiscoverable. This raised issues from free speech advocates in the United States, however, since these videos are not blocked in this country. 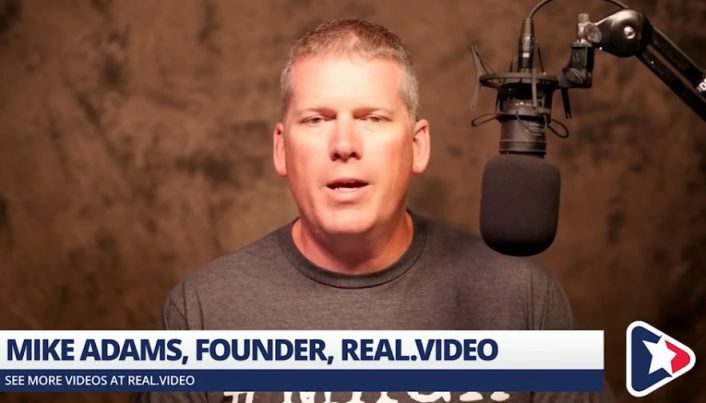 Adams believes that InfoWars was just the first of many targets, and that the tech giants will systematically turn against other independent media targets until they have eradicated them all. Adams believes in decentralization and hopes that ultimately there will be no need for Brighteon.com or that it might become a decentralized peer-to-peer cloud bandwidth system one day. Until then, Adams will keep fighting the fine fight for freedom of speech. Learn more about the ongoing censorship attack at FirstAmendment.news.